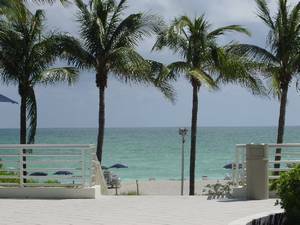 This is a Luxurious Ocean view condo located in the Millionaires Row. It has two spacious bedrooms and two complete bathrooms. 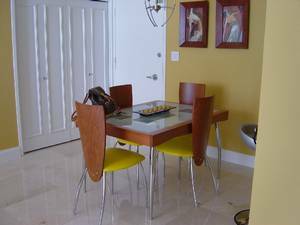 The condo has marble floors throughout the entire apartment including the bathrooms. It is decorated in a European style. The living room has two leather sofas, and a large entertaintment unit containng a Plasma Tv and Dvd/Cd sound system. The dining table seats four, but it expands to seat 6 to 8. 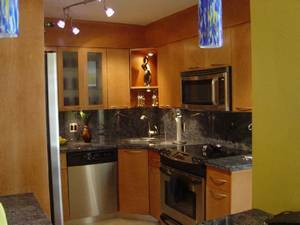 The kitchen is fully equipped with stainless steel appliances,and it has maple cabinets as well as the bathrooms, and blue granite counter tops. The counter seats 3. 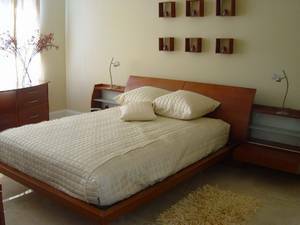 The master bedroom has a queen size bed, a dresser and a desk over looking the ocean. 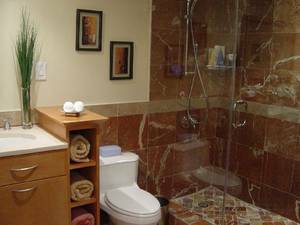 The master bathroom has a double sink and plenty of closet space. The second bedroom has a twin bed and a full bed. The second bedroom also has a direct ocean view. There is a large balcony outside the living room overseeing the Atlantic Ocean and a partial view of the Intra-coastal skyline. 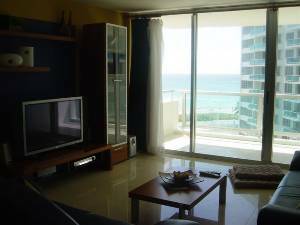 The SeaCoast building is a luxury Condominium that offers you the convenience of being relax in a quiet atmosphere, since it is a condo, not a Hotel, and at the same time it is only 5 minutes away from the action "South Beach". At the pool and on the beach you will find complementary chairs and umbrellas. There is also a Tiki Bar with a variety of food and drinks. There is valet parking available 24 hours a day, and you will get one free parking space. Free local telephone usage. No pets are allowed, and no smoking is permitted. 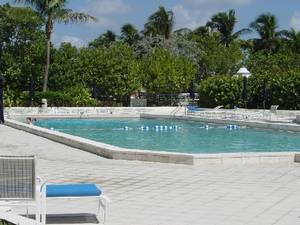 Direct Ocean access, Olympic Size pool, Jacuzzi, Tiki Bar, Fully equiped gym with day care, valet parking available, beauty salon, grocery store, Laundry machines on every floor, and much more. Everything you need without ever leaving the premises. Swimming, Diving, Boating, Waverunners, Excellent Dinning and Entertainment. Miami Sea World, Monkey Jungle, Miami Children Museum. Shopping at Bal Harbor, Lincon Road, etc. A security deposit and Rental fee are required in advance of your arrival and are to be in the form of money order or cashiers check. Security deposit will be return to you 10 - 15 days of your departure as long as no damage has occurred on the property. A $600.00 deposit is required to book. Deposit: A $600.00 deposit is required and will be return to you 10-15 days of your departure as long as no damage has occurred on the property. Other Fees: Deposit may be in the form of personal check.